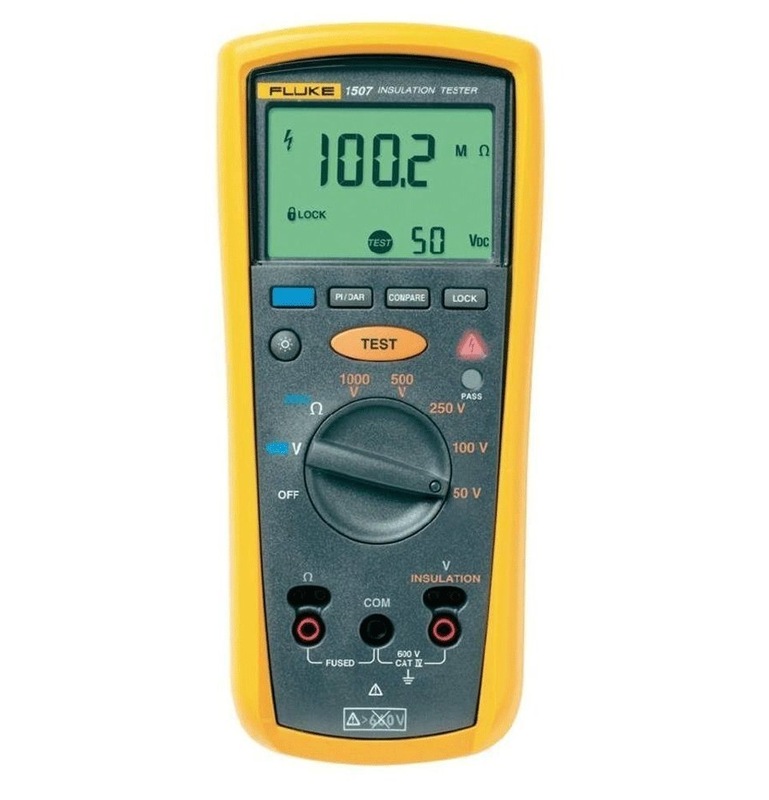 The Fluke 1507 Insulation Tester is a compact, rugged, reliable, and easy to use. With its multiple test voltages, it is ideal for many troubleshooting, commissioning, and preventative maintenance applications. 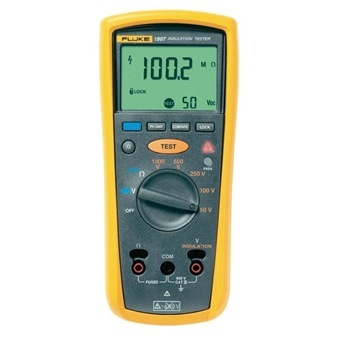 Additional features, like the remote probe on this tool save both time and money when performing tests. Battery life Insulation test use: Tester can perform at least 1000 insulation tests with fresh alkaline batteries at room temperature. These are standard tests of 1000 V into 1 MΩ with a duty cycle of 5 seconds on and 25 seconds off.